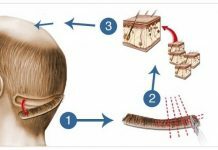 Foremost, what comes to one’s mind during the state of hair loss is the replacement of hair through surgery or prosthetics. These often produce the best results in the hair transplant; however, there are other methods and treatments available which are contemporary, yet safe. These are nonsurgical methods and address the hair loss issues with same gravity as the results in hair transplant. Science has created and invented many revolutionary techniques in the medical world. Science has been the best help in producing ergonomic machines which produce best results. 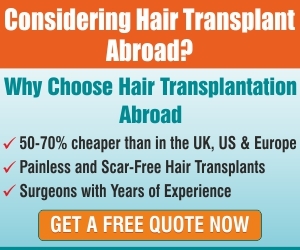 One such machine is 3-D printers which have made a radical change in the techniques of hair transplant and hair re growth throughout the world. Through these 3-D printers, we cannot only print spare parts for a variety of different items but this printer has evolved to a point where people are printing food, human skin and various other things. This has perhaps augmented the emotion that real hair can now be printed from a 3-D printer that’s ready for prosthetic replacement in the scalp. With umpteen research in the 3-D printers and related items that can be printed, Cesare Ragazzi laboratories has been on the apex researching and experimenting the best results for hair transplant and printing. In their research, they have mentioned, that the hair prosthetics are printed precisely for each individual. The replacement is done naturally which replicates and matches the human hair. Although the replaced prosthetics do not grow, they can be reprinted and changed for a new hairstyle as per the requirement. 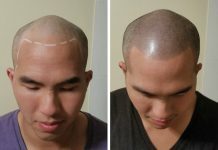 Prosthetics are possible by using digital scalp mapping which can create a 3-D blueprint of a scalp. After creating the blue print, the prosthetics are customized and created. These are personalized with various prosthetics, depending upon the requirement. This way a second scalp is created which is printed, dermatological tested and is created using UV protected material. The handpicked strands of hair are then matched with your own hair and the 3-D printed base will secure to your scalp. The result of this will be a natural look. What make these hair pieces and scalp natural looking are the way and the quality of prosthetics. Also, the way these prosthetics are customized makes a lot of difference. If carefully done by an experienced staff, it can produce good and natural looking results. While best results in hair transplant remains on top if one wants to go for surgeries; however, for nonsurgical hair replacement option, 3-D printing and scalp mapping can do wonders for natural looking hair.